"No ordinary love - No ordinary ring"
We at TQ Diamonds and Christian Bauer love lovers. Christian Bauer does not just make rings of acceptable quality. They insist on creating beautiful wedding rings without compromise. The artisans at TQ Diamonds and Christian Bauer share this commitment. Only the finest is good enough for those who have found such love that they wish to spend the rest of their lives together. Today's cutting edge technology is combined with one hundred and twenty eight years of experience. This potent combination is manifested in perhaps the world's most perfect, beautiful and desirable wedding ring. 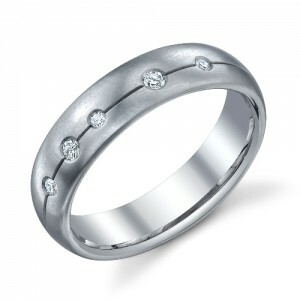 True love will withstand the test of time like the diamonds so perfectly set in your Christian Bauer ring. Years of experience and the passionate attention to the minutest detail is manifested in total perfection. Your diamonds will span the years from your wedding day to your diamond anniversary and beyond! ...True Love Will Endure The Test of TIME! The Christian Bauer wedding ring collection reflects the high quality standards which exist only at Christian Bauer. Gold, Platinum, Palladium and diamonds used by Christian Bauer wedding rings to produce captivating rings are of the highest quality, a fact which is recognized in numerous wedding and wedding ring magazines. Christian Bauer located in Welzheim, Germany since 1880. Most Christian Bauer Rings can be ordered 1mm wider or narrower in width. Metal choice may be selected in the "drop down" box in the "add to cart" area. Your ring will be custom ordered to your exact specifications and requests - Please allow 2-3 weeks for delivery. When you purchase a Christian Bauer from TQ Diamonds, your decision is more than an investment in a beautiful piece of jewelry - it is also an investment in the lifetime care of the piece by the expert artisans at TQ Diamonds and Christian Bauer! What does the Christian Bauer™ Warranty Cover? Christian Bauer™ does not sell directly to the public. Christian Bauer™ is a designer and manufacturer of high quality engagement and wedding rings. All of their jewelry is distributed to the public exclusively through fine quality, authorized jewelers like TQ Diamonds. At TQ Diamonds an authorized Christian Bauer™ retailer, we are happy to assist you with sales, pricing and service. TQ Diamonds has exclusive rights to represent and sell Christian Bauer jewelry. Christian Bauer™ has personally selected TQ Diamonds because they have the experience and expertise to properly represent Christian Bauer™ and provide you with the best service available. Don't risk losing your Christian Bauer™ warranty! This warranty is void if your Christian Bauer™ jewelry has been damaged by unauthorized service, negligence or accident, or other causes not relating to defective material or workmanship. Exclusive Christian Bauer AUTHORIZED Retailer!